Transform any object into a notifying object! 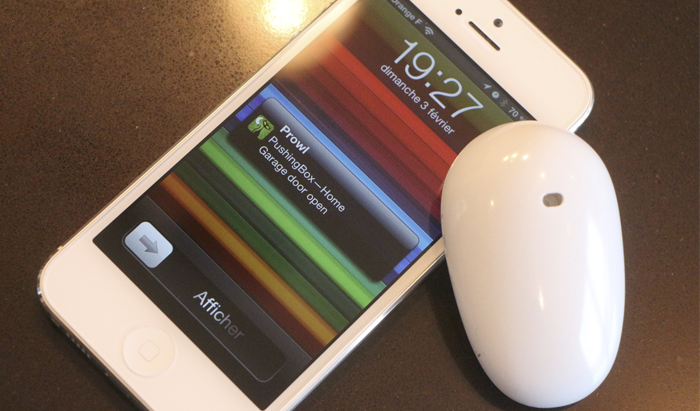 Notifon is a wireless Internet-connected device that sends you instant notifications based on real life events. Notifon can send Push notifications on your SmartPhone (iPhone, Android or Windows Phone) or send Tweets, Emails or even make your Karotz speak. 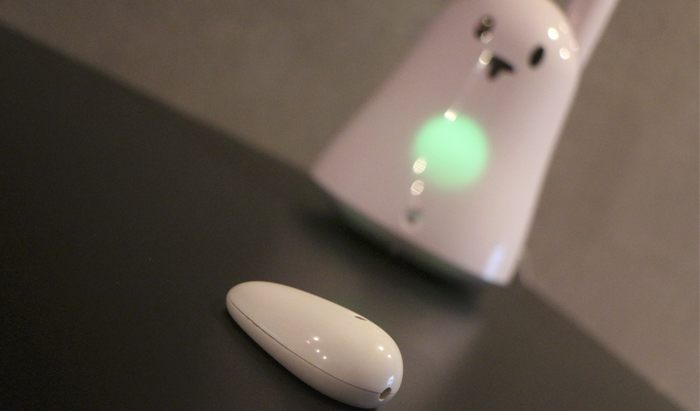 Use the speech synthesis of your Karotz as a way to receive notifications. 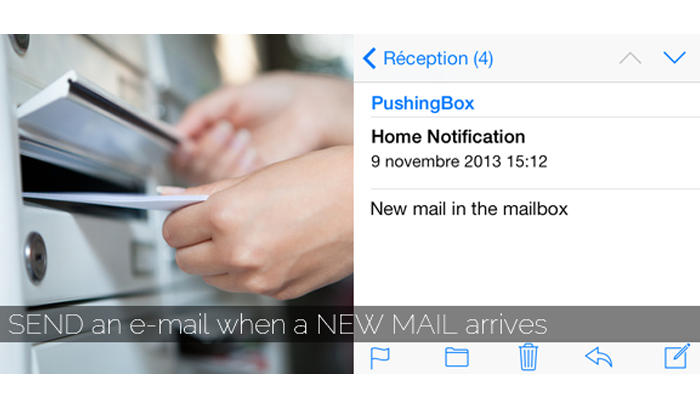 A year ago we launched PushingBox, the cloud where you can manage your notifications. Each real life event launches a scenario on which you can attach multiple actions like send Push+Tweet+Email. All this in real time. Got an Internet camera? 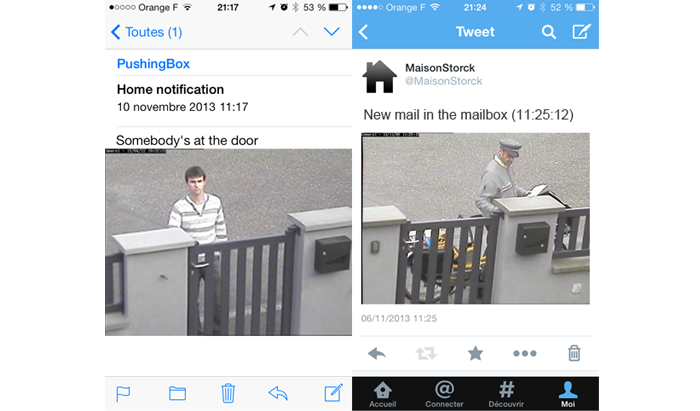 Attach real time pictures to your Email and Tweet notifications. Don't wanna wait for Notifon? It's ok, you can do it yourself. We posted tutorials and source code on how to use an Arduino as a trigger of PushingBox. Of course, PushingBox is free. Smart and beautiful. 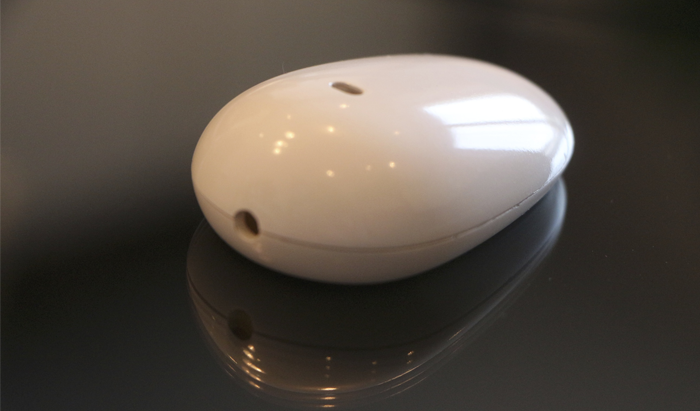 With a curved white glossy design, Notifon is the kind of technology you don't want to hide. 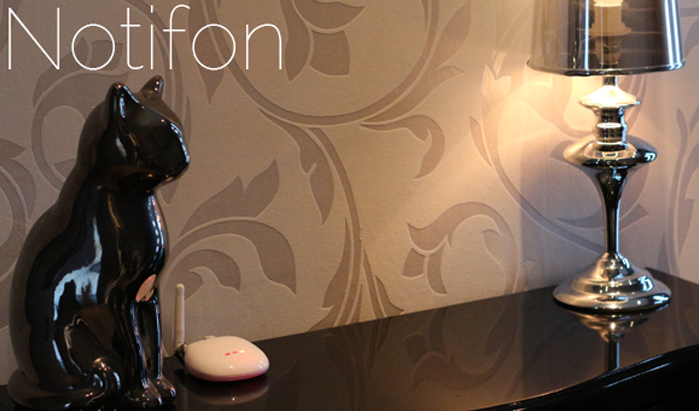 Notifon is a wireless Internet of things device. It uses ZigBee to communicate. Zigbee is a low powered technology with high range. Nothing to configure, everything is preprogrammed. 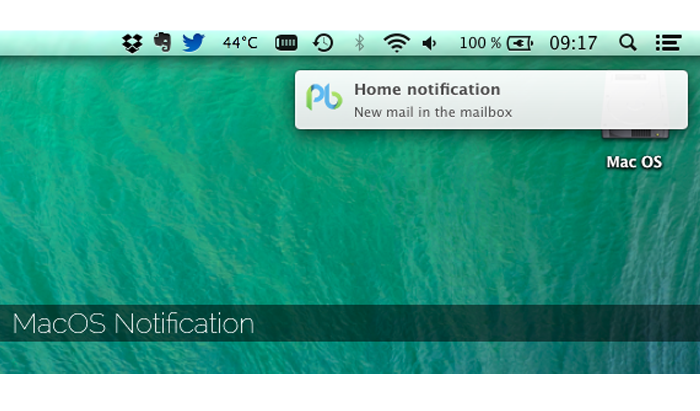 Plug the Notifon Hub to your router, enter the DeviceID of your Node into PushingBox and you're done. Don't even think about it. The battery life is about years, from two to five depending on your usage. 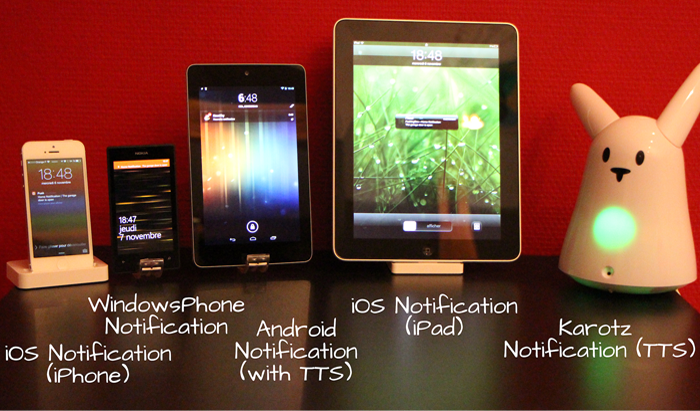 You can associate up to 14 Notifon Nodes with one Hub. Just put the battery on it and it's ready. 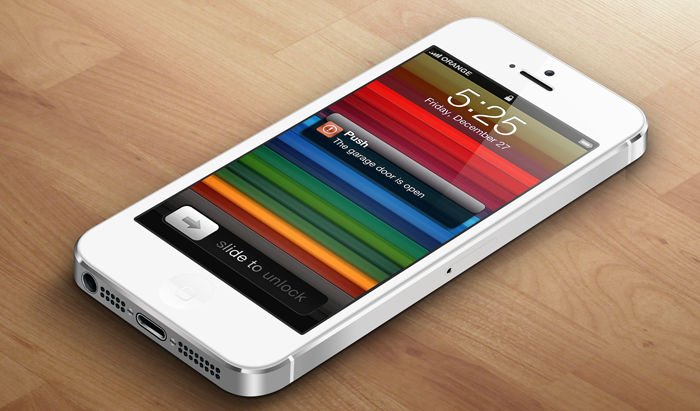 Finally, what can Notifon do for you? 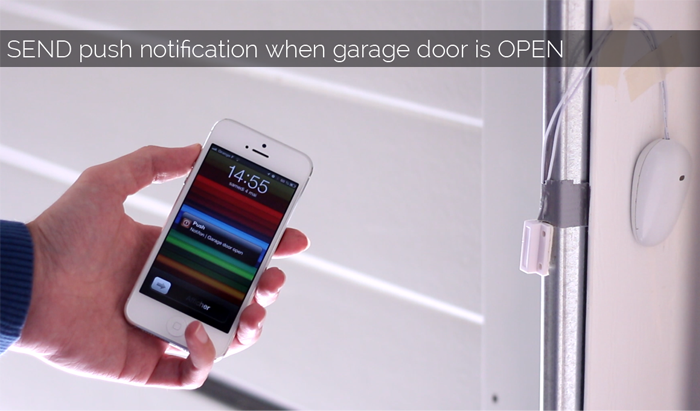 Know when your garage door is open or closed by sending you a Push notification or an Email. Know when somebody rings at your doorbell by sending you a Push and an Email with an attached picture of the person (require an Internet camera). Know when you have mail in your mailbox by making your Karotz speak and sending a tweet (with the picture of the postman? ;-) ). 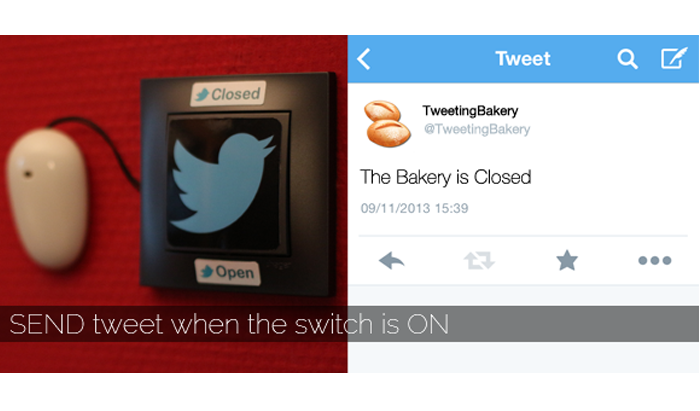 Build a cool Twittering toaster like @mytoaster! 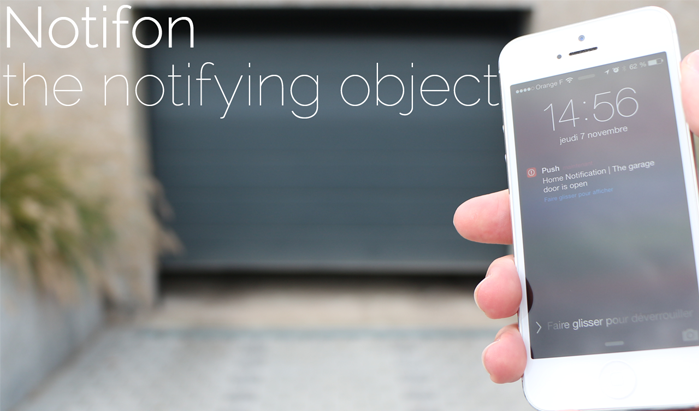 Know when your kids are back home by putting Notifon on your entry door. Be alerted of a water leak (like in this video). 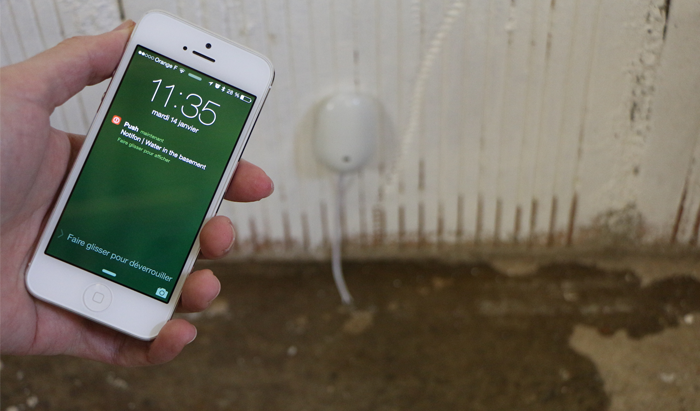 If you want to know if he's entering or going out, you will need two Notifon Nodes. Where can I stay updated about Notifon? What is a Hub and a Node? 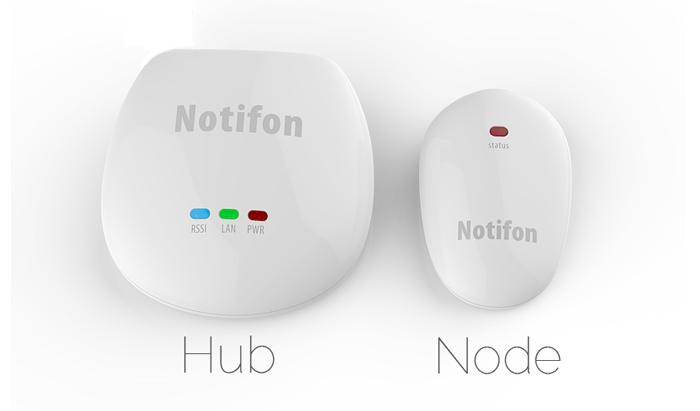 Notifon Hub is the gateway between the Internet and the ZigBee network, it has to be plugged into your router. 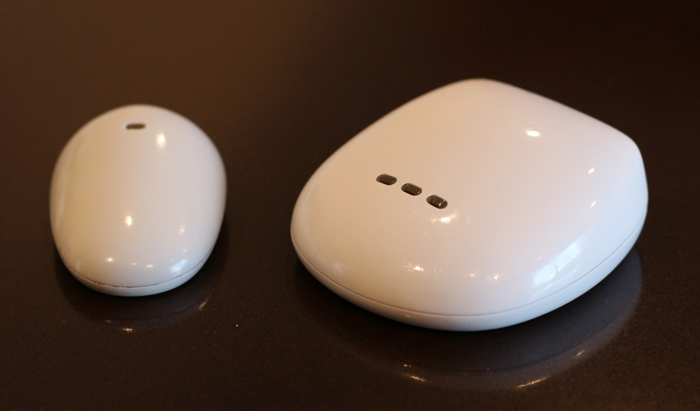 Notifon Node is the wireless device, you can have up to 14 of those. Each Notifon Node has a unique ID called the DeviceID. This is what you enter in PushingBox to associate the Node with your account. 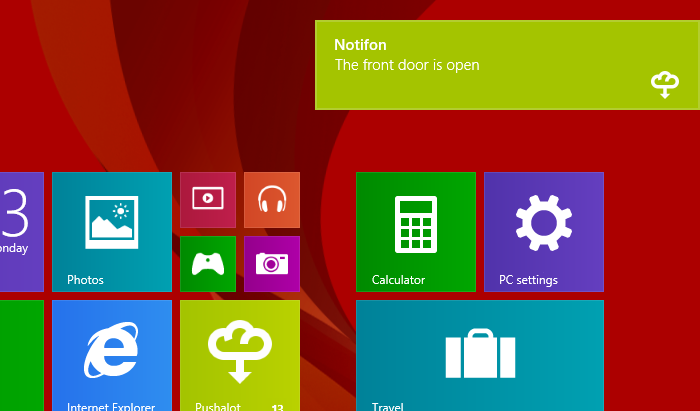 Can I use PushingBox without Notifon? 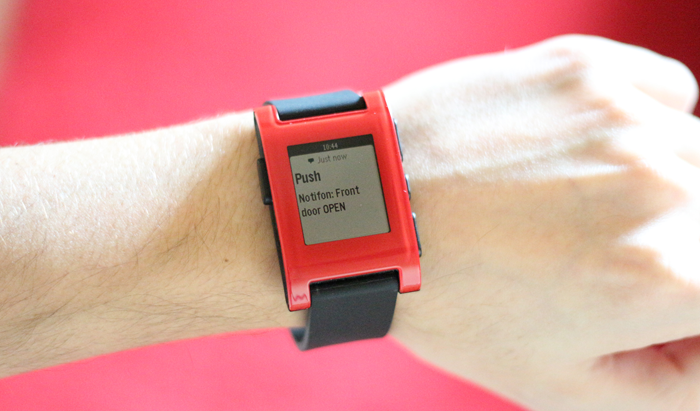 Yes you can use PushingBox with your own device, we have a public API and source code example. What kind of sensor can I use with Notifon? Everything that has two states like a switch, a push button, a magnetic door switch, a relay... You will be able to set a scenario for each state. It will not work for sensor like temperature or other analog input. What is the range of the ZigBee? © 2011-2013 Notifon. All rights reserved. CSS Design from selfstarter.us.